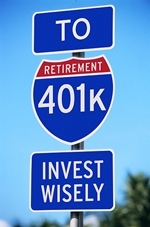 The maximum elective deferrals for individuals who participate in 401(k), 403(b), and 457 plans increases to $18,500. The catch-up contribution for participants age 50 and older remain at $6,000. The maximum contribution for defined contribution pension plans increases to $55,000. Do you need a larger income tax-deduction? We can help! Call today (800) 680-5596.